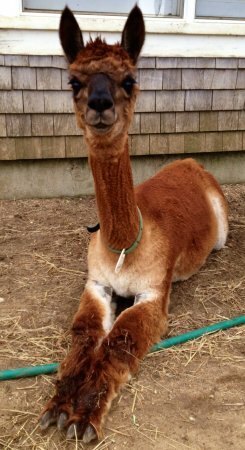 Audrey's Hottie is the culmination of two well-known and well respected breeding programs here in the Northeast. She is a wonderful animal terrific disposition, good density, and wonderful conformation. 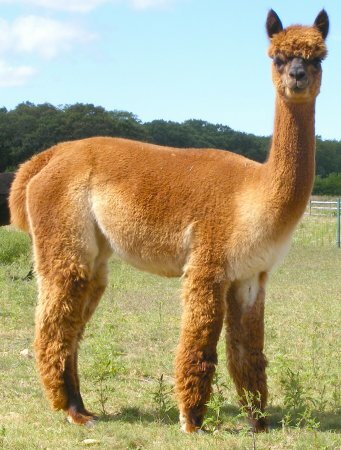 Mariah Alpacas and Mirage all had a hand in creating this incredible gem. 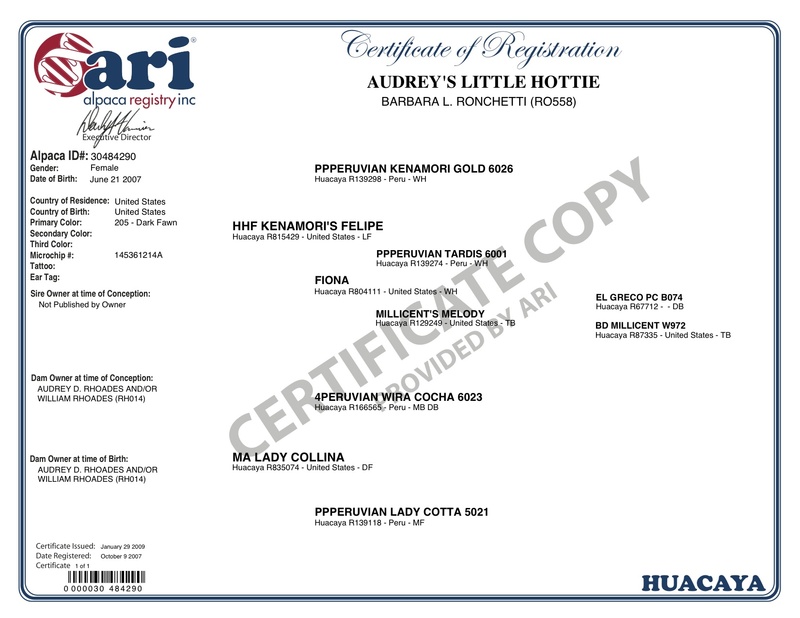 Earlah's MA Lady Collina bred under the discriminating eye of Audrey Rhoades to HHF Kenamori's Felipe produced this outstanding female. Audrey's Hottie is incredibly social and she often loves brushing her nose with yours. She makes a great cuddle buddy! Hottie gave birth to her first offspring, May 20, 2010. 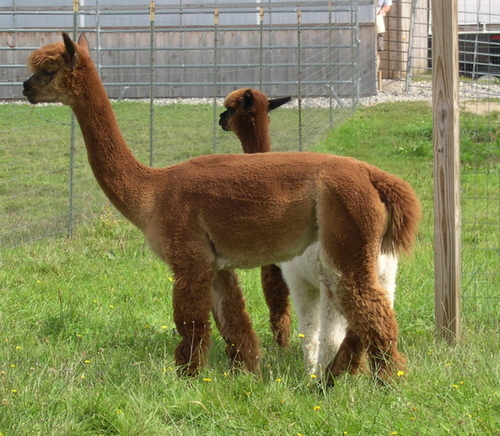 Estrada's Hanne, a light brown female cria, with a solid, and very dense soft blanket, with a strong Igg. She is an extremely attentive mother, with plenty of milk - always communicating with her baby, never letting her cria out of her site! Audrey's Hottie had been bred to our very own CT Estrada to result in one of our finest. A 12.9 micron male named Hot Shot. Absolutely amazing! Estrada and Hottie have done it again! 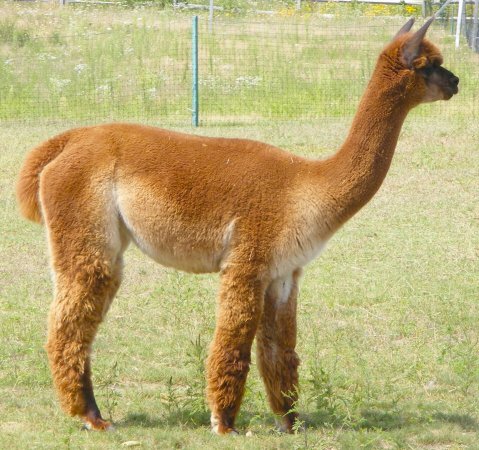 MA Lady Collina is a full Peruvian Wira Cocha daughter sporting the depth of color and solid conformation of her famous and fabulous sire as well as his outstanding coverage fineness and density. Felipe is a prime example of the hybrid vigor. His lineage includes Allanza Accoyo and Chilean. Light fawn may be but his maternal grand dam is black, and this boy can throw that color, not to mention other rich, dark colors, with aplomb. 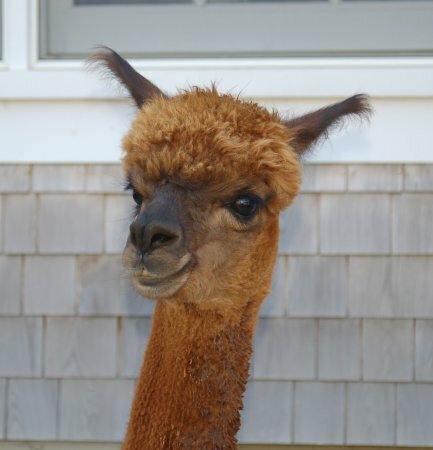 His fleece exemplifies that of a Kenamori Gold-sired alpaca. 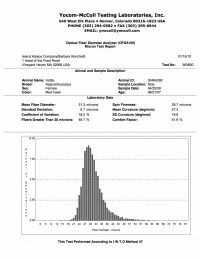 His first two years of fleece histograms were identical, with an AFD of 16.6. 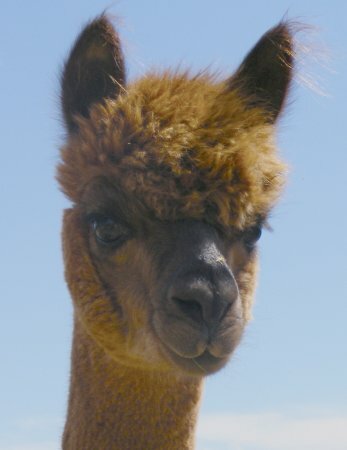 He exhibits plenty of high frequency throughout his fleece. We showed him sparingly but, even in two year old light classes, he never failed to place at the largest shows.